Which Side Should a Nose Piercing Be On? You’ve thought long and hard about it and decided to get your nose pierced. You even picked out the nose ring you want to use. Then it occurs to you: you’re not sure which side of your nose you should pierce. How will you choose which side to pierce? Will it just come down to a coin toss? In this article, we’ll go over some of the things you might consider when deciding where to get your nose piercing. There are a few aspects of your current style that could make a difference to which side you might prefer piercing. Your hair style could be one consideration. 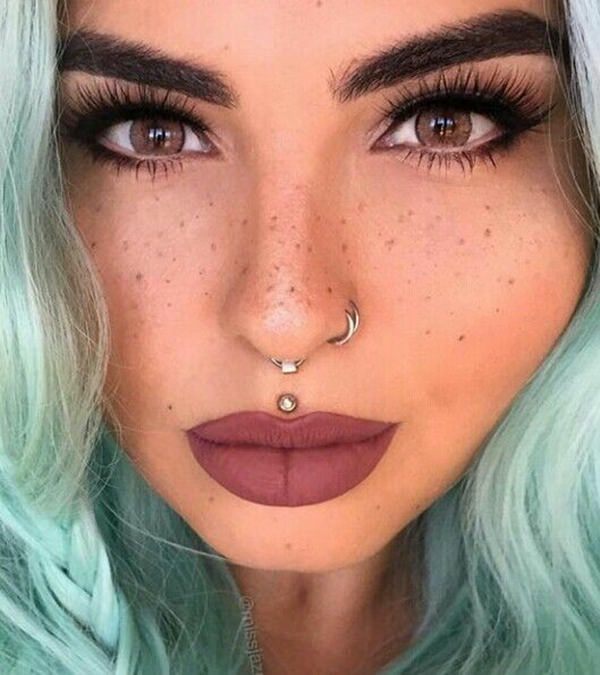 If your hair tends to cover one side of your face more than the other, you might want to pierce the nostril on the opposite side so that it is more visible. Even if it doesn’t cover your face, if your hair frames your face differently on either side, the side you choose to get pierced might affect your overall aesthetic. If you have other piercings on your face or ears, they might affect where your piercing will look best. You can use the piercing to create more symmetry or evenness by placing it on the opposite side of some of your piercings. 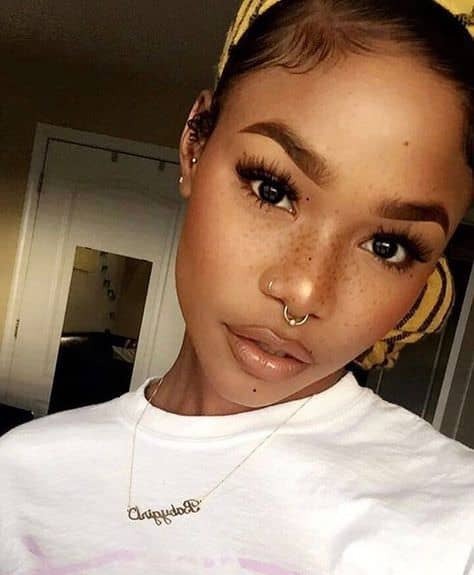 For instance, if you have only your left ear pierced or you have a Monroe piercing (named for Marilyn Monroe’s signature beauty mark) on the left side of your upper lip, you can choose to get your nose ring on the right nostril so your piercings don’t cluster together. Speaking of Marilyn Monroe, if you do have a beauty mark on either side of your face, getting a nose ring on the opposite side is a way to create some balance. There are also a few practical reasons to favor one side over the other. If you have a tendency to sleep on one side, you could decide to pierce the nostril on the opposite side to avoid any discomfort while the piercing is healing. Depending on whether you’re right- or left-handed, you might also try to figure out which side of the nostril will make it easier for you to replace the jewelry. These are admittedly small concerns, but if you’re really at a loss for which side to pierce, it might be a good way to come to a decision. 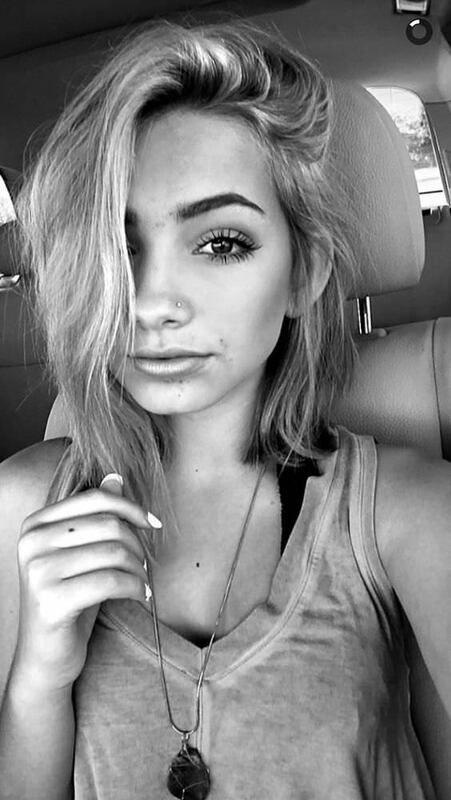 If you’re really worried you might change your mind after getting one side of your nose pierced, you can always try out both sides and see which suits you best. Buying a fake nose ring is one way to test out both sides before committing to one. A simpler and cheaper method that should still give you a good idea of which side you prefer is to simply draw a dot where your piercing would be and then looking in the mirror. Try it on both sides and see whether one looks better or feels more natural. You can also enlist someone else to help you decide. Your piercer might have some insights into which side would look better. They’ve probably done countless nose piercings and might have developed good instincts for the aesthetics of a nose ring. Alternatively, you can also ask a trusted and honest friend to give you their opinion. They probably see your face more often than you do and might have a really good idea of what piercing would complement it best. If you really can’t make up your mind, you can always get a piercing that allows you to avoid making the decision altogether. One thing you could do is what a lot of people do when they pierce their earlobes: get both sides pierced. This lets you avoid the decision, keeps your piercings symmetrical, and can look great. Although, be aware that many piercers will recommend only getting one side pierced at a time and allowing the first nostril to heal completely before piercing the second. If that’s the case, you might end up having to choose which nostril to get pierced, even if you’ll ultimately get both of them done. 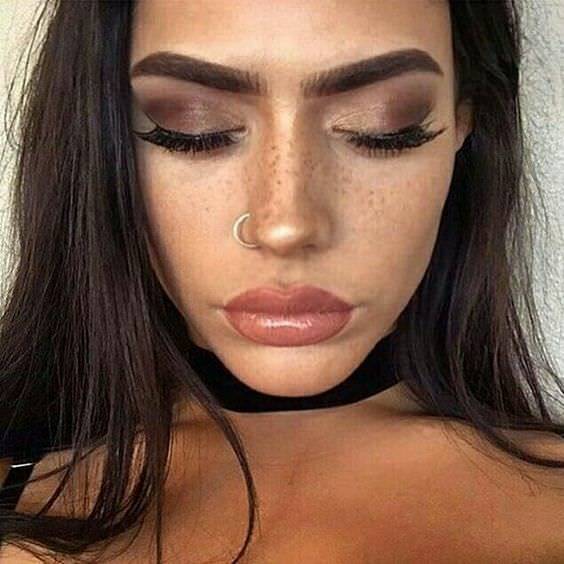 A septum piercing is a piercing that goes through the cartilage between your nostrils. If you’re considering a nostril piercing, a septum ring is quite different than what you envisioned. Some people also claim that getting your septum pierced hurts more than piercing your nostrils (though the pain is only momentary). There’s also the fact that it’s still uncommon when compared to pierced nostrils. That’s not necessarily a bad thing, but if you’re not comfortable standing out or drawing too much attention to yourself, it might not be the best choice for you. Piercing your septum does, however, have one distinct advantage: because the jewelry sits in the middle of your nose, you don’t have to choose a side. Finally, if you really can’t make up your mind, you can always leave it to chance. Flip a coin, make a friend choose for you, or just ask your piercer to surprise you. Whichever way it turns out, rest assured that nose piercings look great on either side. There are a lot of things to consider when deciding which side of your nose to pierce, but in the end, it all comes down to personal preference. There’s no choice that’s inherently superior. Left, right, or both – as long as you pick the side you’re most comfortable with, that’s all that matters.